OLD PARKED CARS. 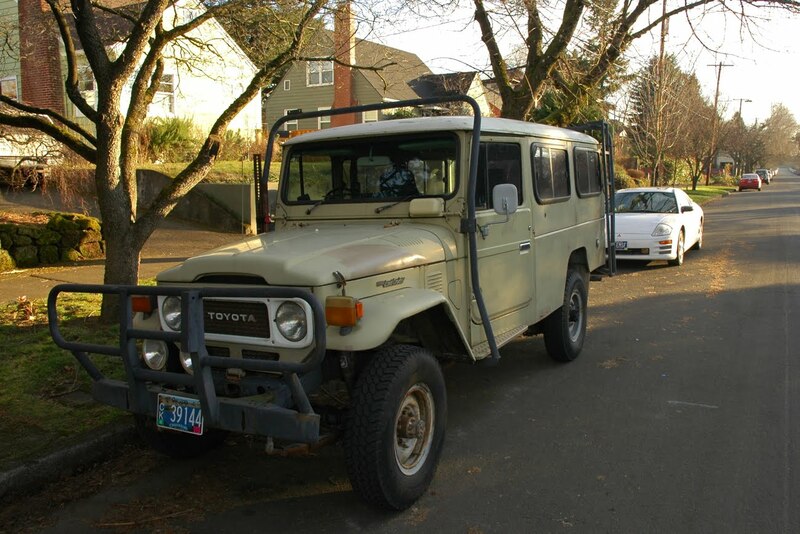 : 1966 Toyota Land Cruiser HJ45 Diesel Troopy. 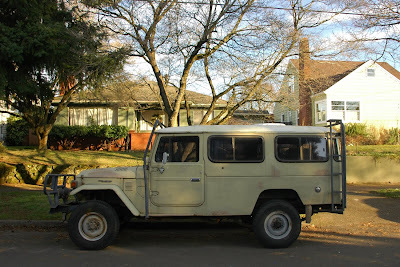 1966 Toyota Land Cruiser HJ45 Diesel Troopy. Oh man is this cool. Safari chic! I didn't know they made them this big. Must be a lot of fun getting into back seat(s). ebay is crawling with these things, but they're pretty much all lifted up and rolling on 33s for rock-crawling. love the stock stance on this one, but it just reminds me of the tears i shed over getting zero comments on the one i posted nine months ago. this gets a "nice rack" tag and an implied "ladders" tag. Tony, you're right. Your previous post should have gotten some comments. 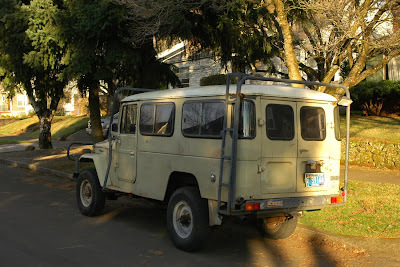 That was a very attractive vehicle and nicely done photos. That's a rare vehicle in the U.S. 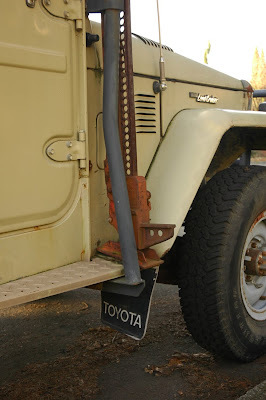 Neither Troopies nor diesels were ever sold here. Land Cruisers didn't change much over the years, but based on the taillights, rear doors, windshield, turn signals, and grille, I believe this one is actually from the early eighties, not a 66.